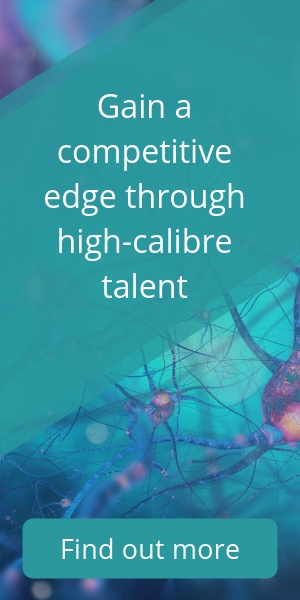 Attract high calibre candidates with the right skills, experience and competencies. Set clear expectations of what success looks like for candidate and coworkers. Ensure your organisation complies with relevant employment law and regulation. Putting time aside to craft and hone a performance job description is time and money well spent. Not only is it the document referenced when screening, shortlisting and interviewing candidates, but the thought process and due diligence that goes into its creation will assist you with onboarding your new hires and assessing their performance later down the line. In short, it defines what success looks like for all parties in the hiring process. However, the advantages don’t stop there. Performance Job descriptions provide context for the hiring team, clarifying the reasons for the hire; it’s anticipated benefits and fit within the organisation. If you’re working with an external recruiter or executive search firm, they inform the search lead and assist them in selling the role to prospective candidates. Developing and refining this process now will improve your hiring outcomes across the board. Goals are motivators. Utilising goals in your performance job description will assists you in attracting and engaging A-players from the outset. A-players are doers. When browsing job descriptions, they want to see how they can make an impact. They don’t want to waste their time in a role which won’t fulfil or challenge them. Measurable, well-defined goals give these go-getters the detail they need to access the role on its true merits. Ability and desire to take charge – Top performers seek the ability to take the reins and assist coworkers with their goals. Well developed focus and discipline – A-players possess long term focus, perseverance and self-discipline to see tasks through. Strong sense of self-responsibility – High calibre candidates believe that they, and they alone, are responsible for their destiny. Development of expertise – Top performers thrive on continuous improvement and seek to be seen as the go-to person for advice. Positive mindset – A-players have the ability to see challenging projects and positive opportunities as opposed to problems or threats. A-players are extremely goal orientated – they set their trajectory for the things they wish to accomplish in their career and personal lives. A performance job description utilising goals will convince them that you offer an environment where they can excel in what they do while ensuring that they understand exactly what they need to deliver and how they will be measured. Better still, they help communicate the mission and vision of the organisation from the first touch point. Reinforcing this messaging alongside goals throughout the hiring process – job ads, emails, conversations etc. – increases the chance of buy-in, which typically translates into performance gains. When an individual believes in their cause, they work more tenaciously to deliver. Defining the mission ensures all parties – candidates, hiring teams, coworkers – understand the essence of the role and the reason for its existence. You need to clearly identify what the desired outcomes of the job are. Set specific expectations of the duties required and communicate how successes will be measured. How mission critical is this role to achieving your overall business objectives? What about the organisation’s objectives? Defining this will help you prioritise the hire in your recruitment process. If defining your mission, goals and urgency throw up some red flags, act on these now before proceeding further to the next stage in the process: crafting a performance job specification. 1) What functional expertise does the job require? This is vital to determine whether your hire needs knowledge and experience in a particular skillset, for example, Operational Excellence, or even a qualification in the area. 2) What requirements and qualifications are needed? You will screen candidates CV’s and LinkedIn Profiles against these criteria, ensuring only the A-players are shortlisted for interview. 3) Why should A-players consider your organisation over a competitor? It’s important to do some detective work to ascertain exactly what it is that your existing employees value in working for your organisation. While you might feel you have a pretty good idea, you’ll be amazed at the insights gained from simply asking your employees and coworkers. Even seemingly insignificant perks can make the difference between a candidate applying or looking elsewhere. With the raw data to write your performance job description, there is one final failsafe; review competitors job postings to get a feel for the skills, experience and competencies they seek in their leadership-level roles while getting a feel for how they present their mission and goals. We advise you repeat the process when you’ve drafted your job description to see how it compares. Research and due diligence behind you, it’s time to translate what you’ve uncovered into an engaging, accurate and transparent performance job description. You might be tempted to delegate this to a member of HR, but as the hiring manager and key stakeholder in the hiring process, no one is better qualified to write a performance job description then you are. Though your mind might be overflowing with goals, skills, experience and competencies, it’s important that you refrain from translating all this information to paper. Think about the end user – the perspective candidate reading your job description and deciding whether or not to apply. Do you think presenting them with a wall of text and bullet points will present your organisation in the best light? Not only is it intimidating, but chances are your perspective candidate will grow tired of reading and move on. This is especially tue for A-players. Clear depiction of the job so potential candidates can decide if it is the type of position they are after. Selling points that make the position and your company special compared to your competitors. Compliance with employment requirements that are applicable to your company. Always aim to highlight results and impact over responsibilities and requirements. A performance job description is a sales pitch, not a laundry list. Below are the seven elements you should include in a performance job description. Where helpful, we’ve included examples from a performance job description for a pharma manufacturing role. Don’t overlook this crucial aspect of the job description. When deciding on a job title, consider what candidates are searching over how the job description will appear in your organisational flow chart. According to Keven Walker, Director of employee insights at Indeed, a well-crafted job title can increase job ad views by up to 1,000 per cent over a conventional one. Now that you’ve piqued their interest with the job title, the statement of purpose sells perspective candidates the role. It’s effectively the mission, distilling the essence of the role, the reason for its existence and crucially, why it matters. The description of purpose informs A-players what they can expect to get out of working in the position and for your organisation. Leading on from the statement of purpose, goals/objectives are what you expect the job holder to achieve. An example of a goal for our pharma manufacturing role might be to build future manufacturing expertise and infrastructure to ensure facilities stay at the forefront of innovation. When defining top-level goals/objectives, three is the magic number. Clearly identify the ‘essential functions’. This includes the jobs primary responsibilities and duties, for example, from our pharma manufacturing example, a responsibility could be to develop a strategic Tech Ops manufacturing framework. It’s important to be as specific and transparent as possible when writing responsibilities to ensure legal compliance. State which qualifications and level of experience are prerequisites for the role, for example, Proven knowledge of cGMPs and ISO regulations. If in doubt, consult with your coworkers or, if the role is new to your organisation, you wider network, to ascertain what experience and formal qualifications are essential to deliver the roles goals/objectives. Detail the skills and competencies essential to deliver in the role, for example, negotiation skills. This ensures the candidates you interview has the soft skills requires to succeed. Now you need to sell your company. You need to explain why it is a great place to work, what benefits and perks employees have at your organisations compared to others. Keep your writing concise yet informative. Use headers to break up the performance job description into bitesize chunks which aid skim reading. Don’t be afraid to use more informal language, so your organisation appears more human to candidates. If in doubt, A/B split test different versions. Compare your job specification to your competitors. Have you sold the role and the organisation? What can you do to improve it further? Proofread for typos and grammatical inaccuracies. Nothing shows a lack of due diligence then spelling mistakes and poor formatting. How To Choose Between Two Exceptional Leadership-Level Candidates.